It was a nice little summer weekend. Friday Zack and I took the girls out to dinner and spent the evening watching a movie. Saturday Mom and I took a trip to Norman for some shopping. Our first trip shopping with both girls. They were awesome but it is a lot of work to get in and out of the car with bags and kids in each arm. :) We got some great deals at Target and Hobby Lobby-our main shopping staples-and then went to a couple of boutiques. 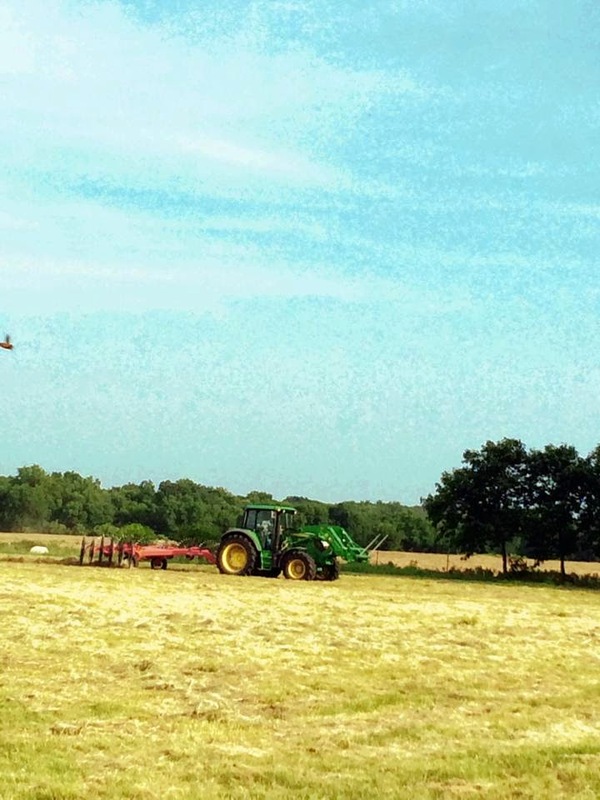 It’s hay season so Zack spent the day with my Dad on the tractor cutting and raking hay. We took the guys pizza when we got home and Paisley had to hop on with her Daddy for a bit. I took the photo on the left one year ago TODAY and the one on the right Saturday. It is crazy how much she has grown! On Sunday, Scout wasn’t feeling well with allergies so we stayed at home and lounged in Paisley’s kiddie pool. 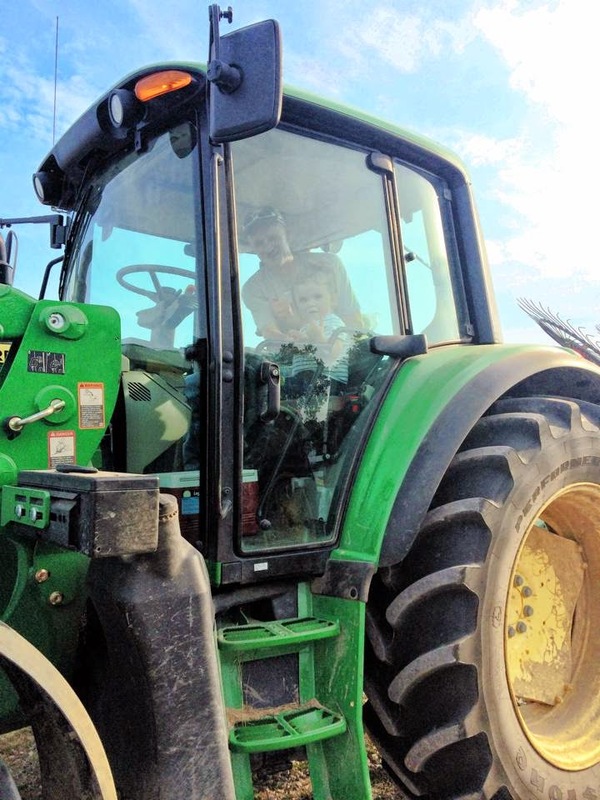 After begging her Papaw for days to ride the tractor, Paisley got to rake and bale hay for a little while on Sunday. She was on cloud nine! 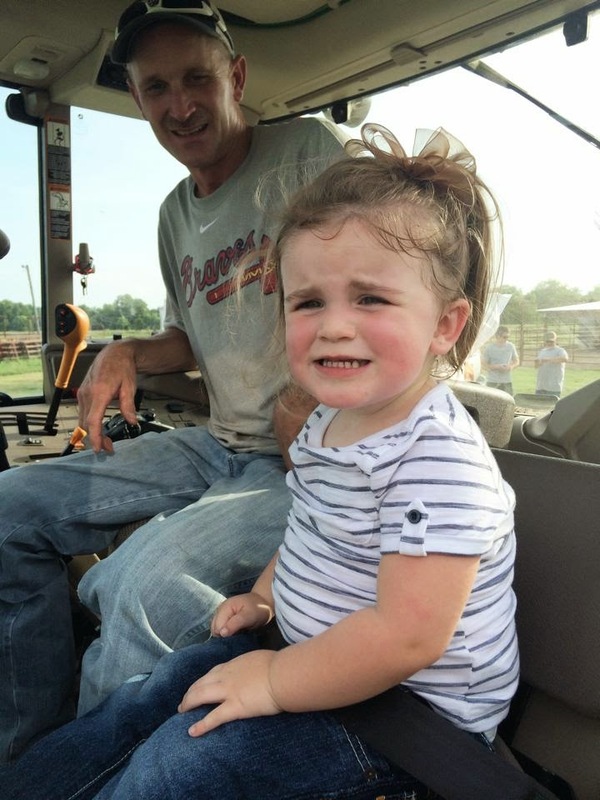 I don’t really like her to ride Dad’s tractor that we use to till the roping arena unless it is just to cruise because it doesn’t have an enclosed cab. She thought it was the neatest thing that she had her own seat and everything. Giving me a thumbs up. 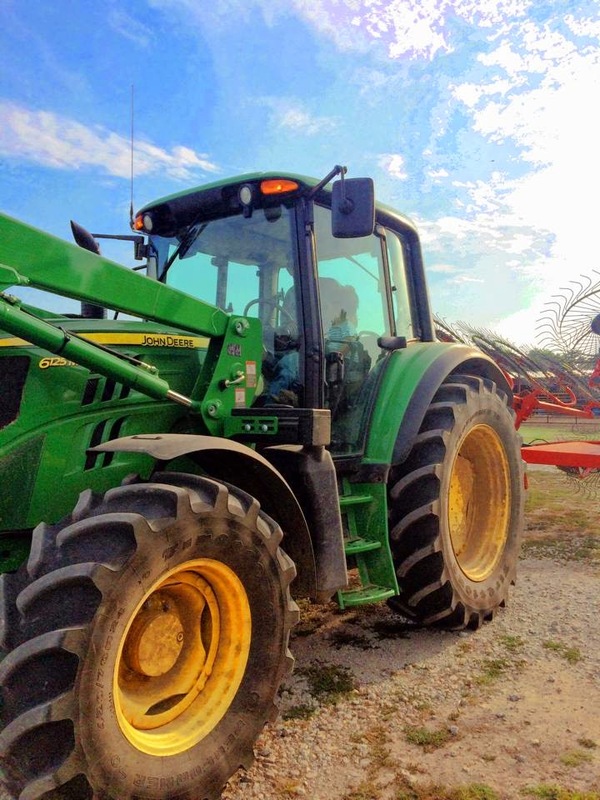 Every time she would make a round, she would wave really big. I love watching her do what I used to do all growing up with my Dad. 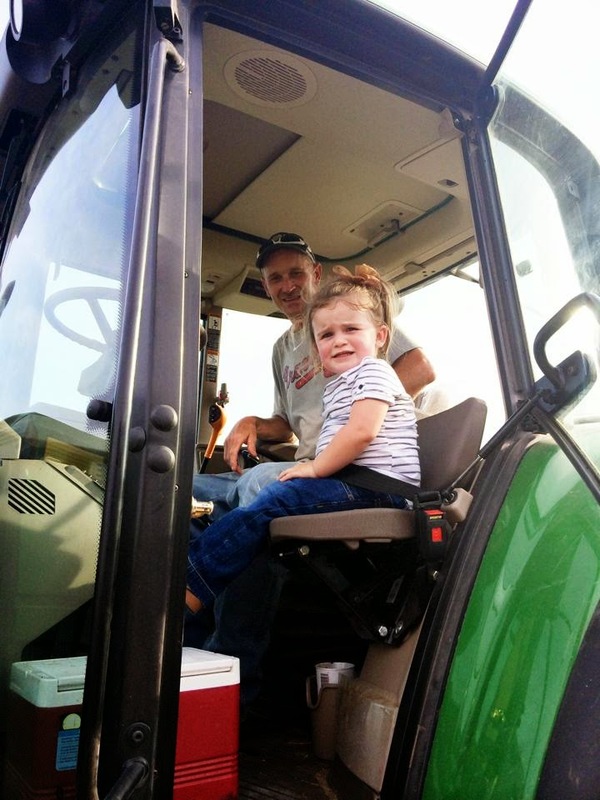 She is our little farm girl for sure. 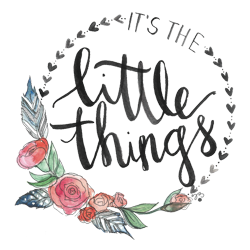 If you would like to link up with “It’s the Little Things,” click here.